How to Tailor Your PWA for Windows — How to install, run, and enhance your PWA as a Windows 10 app. Android P Is Google’s Most Ambitious Update in Years — An exclusive first look at the new update, and how it could help people use their phones less. How to Become a React Native Developer — 3 developers discuss their beginnings and challenges with React Native and provide advice for those who have just decided to start their adventure with this framework. Your Free Pass to New Dev Skills — Learn the right skills in the right order with learning paths for Google: Associate Android Developer, Java, C# and more. 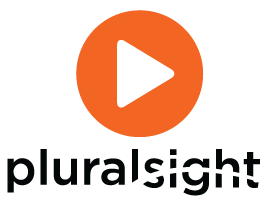 Get 10 days of free on Pluralsight. Building a Mobile Frontend for a Go(lang) App using Flutter — You can use gomobile to generate bindings for iOS and Android once you understand some of the gotchas. KaiOS Now 2nd Most Popular Mobile OS After Android in India — KaiOS is a modern reboot of Firefox OS, of sorts, and worth being aware of if targeting the Indian market where iOS is now in third position. Google Open Sources 'Seurat' to Bring High-Fidelity Scenes to Mobile VR — Seurat is a scene simplification technology that turns complex 3D scenes into a representation that renders efficiently on mobile hardware. Introducing Nanoscope: An Extremely Accurate Method Tracing Tool for Android — Uber’s Mobile Engineering team open sources Nanoscope, a new tracing tool for Android to accurately debug difficult perf issues.